The Candy Cane Base is only available during Great Winter Hunt events. Remember how special you felt as a little kid when you found an extra piece of candy on the floor, just for you? 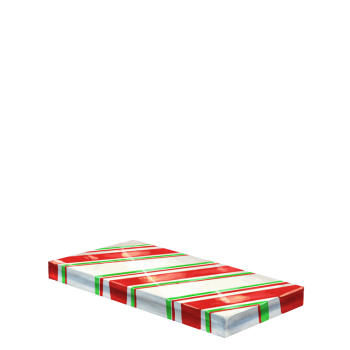 Well, now you can replicate that feeling with the Candy Cane Base. Of course, the makers of the base do not recommend it for human consumption. Mice are bound to try licking it, and it gets awfully sticky after a few uses. The Candy Cane Base is available only during the annual Great Winter Hunt event. 23 December 2009: The Candy Cane Base was introduced as part of the The Great Winter Hunt '09.